Mark Steven Grove began training in martial arts in 1972 and has spent his life pursuing the art of the Ninja. During his early years in the arts, Mark was exposed to many other exotic arts that few in the United States had ever been exposed to, including staff fighting (bojutsu) throwing blades (shurikenjutsu), short bow and arrow (hankyujutsu) (short bow), and grappling (jujutsu). In the late 1970’s Mark Grove met Shihan Frank J. Goody Jr., a Master of multiple martial arts, including Nagai Ryu Jujutsu, Matsuyama Ryu Yawara, and Kota Ryu Ninjutsu. In 1981 Mark and Shihan Goody were able to reunite and Mark received a huge volume of information about Kota Ryu Ninjutsu including 16 unarmed techniques with four variants each, scrolls related to the art of mysticism called Gorin Kuji Myo Himitsu Shaku, and in-depth information about the art of joint manipulation and striking using a short handheld stick. 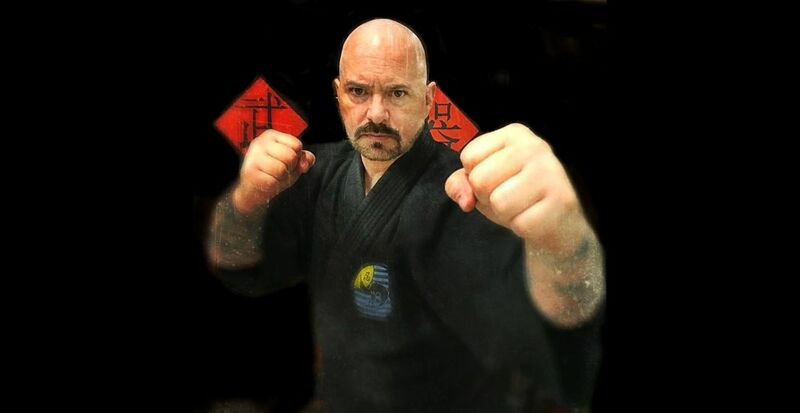 In 1983 Mark Steven Grove was introduced to Hakkoryu Jujutsu practitioner Dennis G. Palumbo and was asked to teach classes in Ninjutsu at the Hakkosen Dojo in Aurora, Colorado. In 1984 Dai Shihan Palumbo officially recognized Mark Grove’s creation of the Kurai Kotori Ninjutsu system under the banner of the Hakkoryu Martial Arts Federation. 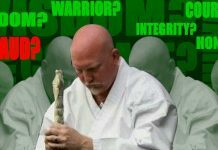 As founder of the Kurai Kotori Ryu, Mark Steven Grove assumes the title of Jonin (ninja leader) and focuses on the four core arts of the system, unarmed combat (taijutsu), acrobatic skills (karujutsu), the basic weapons of short staff, knife, chain and throwing blades (kihon nin-buki), and swordsmanship (kenjutsu). In 1983 Mark Steven Grove began to chronicle Kurai Kotori Ryu in written form in what he calls the Arcanum of Ninja Tactics series, an ongoing work that represents the evolving arts within the Kurai Kotori system. 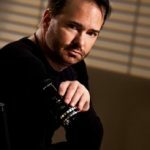 His first book Arcanum of Ninja Tactics: Legacy of the Shadow Warrior came out on October 8, 2016 and on April 20th 2017, the second volume in Mr. Grove’s book series was released. Titled, the Way of the Hidden Fist, this book covers all the fundamentals of the system. 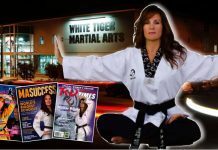 Fighting Postures, Body Weapons, Footwork, Vital targets, Bone Breaking, Muscle Attacks, Joint Locks, Throws, and Acrobatics. In 1986 Mark Steven Grove was asked to attend the 1st Annual Ninja Summit in Mentor, Ohio. The purpose of this event was to unite the different factions/clans of Ninja that exist throughout the world. Although the politics involved made it impossible for everyone to see eye to eye, it was still a powerful event that promoted the idea that no one had a monopoly on the art of the Ninja. 1986 also saw the birth of Kurai Kotori Ryu training camps, which would be held at various times over the years and be focused primarily on stealth, climbing, concealment, and group tactics. Mark Steven Grove had the honor of studying with Small Circle Jujitsu founder Professor Wally Jay. Mr. Grove demonstrated all of the grappling skills within the Kurai Kotori system and Professor Jay assisted in refining the techniques using his small circle theories. As a result of this training, Mr. Grove made subtle changes to the system to implement this gift of knowledge from a true master. 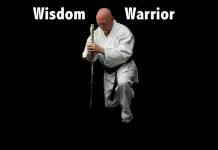 In 1987 Mark Grove was asked to become a member of the Samurai Society of America, an organization comprised of highly regarded and qualified instructors willing to share their knowledge and experience for the benefit of all martial artists. At this event Mr. Grove taught short staff grappling techniques and elemental meditation. Always seeking after knowledge and looking for an outlet for his skills, Mark Grove created a new path for his skills and began learning all aspects of fight choreography and cinematic technique under stunt coordinator Lars Lundgren. This allowed Mr. Grove to utilize his skills as an actor and stunt performer in the film industry. 1995 becomes a year of reflection for Mark Steven Grove when Shihan Frank J. Goody passes away on March 21, 1995. Having learned many lessons from this great master, especially those pertaining to mysticism, Mr. Grove devotes a great deal of time compiling and organizing all the written materials he received pertaining to the Ryobu Shinto doctrines that focused on the Ryubo Kuji (aka kuji in). In January 1996 Mr. Grove completes an audio CD and training booklet called Ninja Chants of Power that contains a detailed account of Shihan Goody’s teachings. 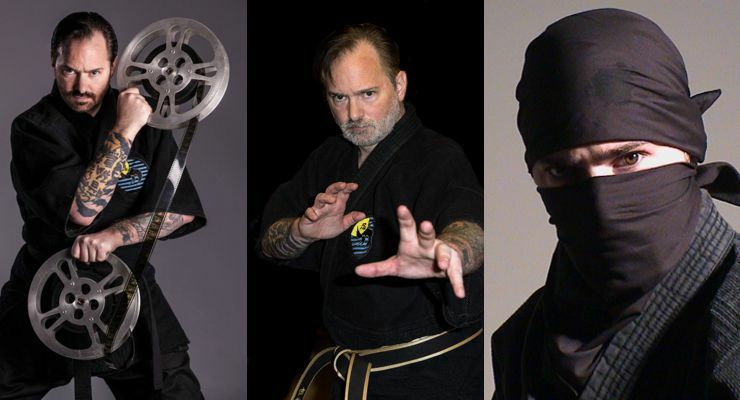 Mark shares this information with those interested in the mystical aspects of the Ninja lifestyle. After receiving a copy of the Ninja Chants of Power CD, Koga Ninjutsu master Ronald Duncan contacted Mr. Grove and shared that he was a long time acquaintance of Shihan Goody and that he respected Shihan Goody’s teachings and admired his experiences in the martial arts. O’Sensei Duncan suggested an exchange of information and they begin communicating regularly. Mark Grove and Ronald Duncan become good friends. In 1998 the first multi-school Ninja camp was held with students from around the country. Focus was on survival skills involving shelter construction combined with a Samurai versus Ninja stealth mission proved to be an amazing adventure. These camps were held again in 2000 with the focus on stealth, climbing, and battlefield tactics and in 2001 with the focus on twin sword, blowgun, and fight choreography by adapting real fighting technique to work for camera. Yoroi Kumi Uchi (grappling in armor) and sword restrainment weapons was the focus of training at the 2003 camp. Students were also able to experience Torinoko (flash bombs) first hand. In 2006 Mr. Grove created a new yearly event called the Ninja Festival. At these events students receive rank recognition, demonstrate skills, and celebrated the years training with fellow practitioners. Spring camp 2008 was taught by Jiki Deshi Sara Salazar and sword master Chris Rhoads. Camp consisted of climbing skills, stealth movement, and endurance training that included long distance running. In 1999 Warrior Quest International was founded with Jonin Mark Grove and Kenshi Daryl Rolando at the helm. The school had custom hardwood floors, indoor rock garden, rope course, cargo nets, and balance beams. The school closed in 2013. In September 2002, Mark Steven Grove created his first training video focused on Ninja swordsmanship which was releases world wide. The video received high praise and has been very successful overseas. In 2004 Mr. Grove’s second instructional DVD on the unorthodox methods of using the Ninja shroud as a makeshift weapon was released. This DVD becomes a huge seller on the internet and sells out of its initial run in 30 days. In 2004 Mark Steven Grove accepts the request of Sara Salazar to become a Jiki Deshi (direct apprentice). She commits to dedicating herself to both Ninjutsu and Stunt training in an effort to learn all aspects of the system. In 2005 Mr. Grove uses his knowledge of film related practical effects to begin creating high tech versions of classical Ninja weapons including a metsubishi (blinding powder) cannon that can be strapped to the Ninja’s forearm and directs a blast with great accuracy. In September of 2012 Mr. Grove is surprised by his students when they gather to celebrate his 40th year in the martial arts. In 2014 Mr. Grove designed and created a classically styled dojo. This Dojo is equipped with both solid and padded training surfaces, climbing ladders, hanging ropes, running walls, an elevated platform, a balance beam, and a vast array of weaponry to prepare students to fight with classical, modern, and improvised tools of self-protection. 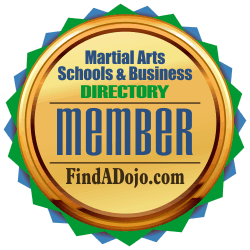 To learn more about Mark Steven Grove and his martial arts school, Kurai Kotori Dojo ,visit their listing on The Martial Arts Schools and Businesses Directory (FindADojo.com) by click on the image on the left.